If you are not completely satisfied with your Website purchase, you may return the unused products with your receipt within 15 days from the date of purchase. Please call us for instructions or see Process section below. Are subject to a 25% restocking fee. 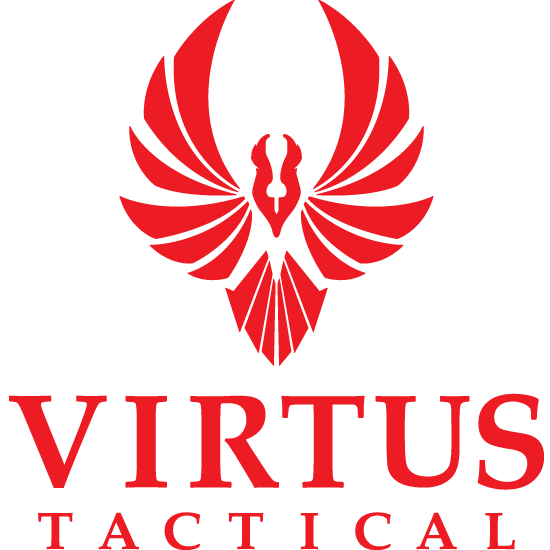 Customer is responsible for shipping costs to return the item to Virtus Tactical. Returns are processed as quickly as possible after the returned item is received by Virtus Tactical and verified that the item is unused. Virtus Tactical give no guarantee of how quickly returns will be processed. Customer agrees there will be a 50% restocking fee for all cancellations of backorder items. Cancellation of backorder items that are covered under NFA regulations are subject not only to the 50% restocking fee but also any fees imposed by the ATF. For NFA Regulated items that are IN STOCK ONLY Once the transfer process has started (Form 3 or Form 4), cancellations and returns are not accepted. If you have any issues we will work with you and the manufacturer to get them resolved. Prior to the transfer processs starting we will accept cancellations of order, but NFA regulated items are subject to a 55% restocking fee. If the item is backorder please see section for returns of BACKORDER ITEMS. If there is a problem with your firearm contact us BEFORE leaving the dealer with your purchase. ANY failed background check will result in a 30% restocking fee plus all applicable shipping fees. Firearms returned for ANY reason, MAY be subject to a 30% restocking fee plus all applicable shipping fees. The product was not modified or disassembled in any way as to void the factory warranty. The customer contacted us in a timely fashion and was issued a Return Merchandise Authorization (RMA) number. Please keep in mind: We cannot accept physically damaged product. If the packaging is reasonably damaged (enough to believe the product inside suffered damage as well), do not accept delivery from the carrier. If delivery was accepted, and the product was damaged, Virtus Tacitcal should be notified within forty eight (48) hours of receipt, at which point we will assist the customer in contacting the carrier and invoking the insurance policy. Each incident will be handled on a case by case basis. Virtus Tacitcal will take all necessary and rational steps to correct the problem in dealing with D.O.A. products. It is under the full discretion of TNVC to allow or deny refunds which fall outside the scope of this policy. All products falling outside the D.O.A. policy are subject to a 30% restocking fee. This fee is charged because all return units are sent back to the factory for inspection, recalibration, refurbishment, and repackaging. We advise customers to purchase products from Virtus Tactical with care and consult a Virtus Tactical agent for guidance on the application or capability of a product. The returns process my be started by filling out the form located in the Orders and Returns section. Original packaging and collateral materials (manuals, warranty cards, stickers, etc.) must be complete and undamaged upon return. The customer may be charged for any lost items or damaged packaging. Customer is responsible for carefully inserting each product into its original packaging, wrapping that packaging in a suitable padded shipping material (such as bubble wrap, or craft paper), then placing into a suitable shipping container. Returning the item in the original shipping box and packing material is preferred. All returned merchandise must be accompanied by a completed Return/Exchange Form. Returns will not be accepted on merchandise that has been altered, laundered, modified in any way or mounted and/or fired. All returned items must be in original unaltered packaging and include literature, tool kits and accessories. If an item is purchased as a combo then all items must be returned from combo, no splitting of items allowed. Customer will be responsible for all freight and shipping charges on items returned that are not the result of Seller’s error and Virtus Tactical is not responsible for lost shipments on items being returned. Once the item is received, inspected and approved we will then apply a refund to the card that was used at time of transaction, if NOT approved we will contact you with our finding and then mail the item(s) back to you on your account. We cannot accept returns on scopes, night vision, lights, triggers, etc that have been mounted. Please note that on defective vendor parts purchased beyond the 15 day return policy you must contact the manufacturer for warranty details.